It’s that time of year in St Petersburg when the water from the taps comes out dirty yellow as the winter’s ice and snow melt into the system, when the cold wind blows from the Gulf of Finland bringing freezing rain rather than snow, and when the days begin visibly to lengthen: it was light until nearly 9:30pm. Yet there are some things that don’t change, like the city’s great love of classical ballet and its thirst for seeing famous dancers and western innovation, and for five days in April those dreams were fulfilled at the annual International Ballet Festival, Dance Open. Dance Open was founded eleven years ago by Ekaterina Galanova and the prodigious choreographer, Vasily Medvedev, who co-choreographed the stunning reproduction of Esmeralda with Yuri Burlaka for the Bolshoi Ballet and Staatsballet, Berlin, and whose numerous full-length works can be seen in the repertoires of companies in Russia and Eastern Europe. Considered one of the top dance events in Europe today – and certainly one of the best organized – the Festival shows the whole gamut of dance life by bringing together young ballet students, renowned Russian teachers, world-class dancers, and top international artistic directors, as well as an excited public and good media coverage. The Dance Open Festival starts with the students’ classes and is followed by a performance by a guest company, then a gala dedicated to a famous dancer – this year it was Natalia Dudinskaya who was remembered and honoured. The final evening of the Festival is the competition for top dancers from international companies who vie against each other for one of the prized crystal replicas of the bronze cast of Anna Pavlova’s famous foot, created in 1913. This year, young ballet students aged between 6 and 25 years of age gathered for master classes by some of the finest teachers – Gennady Selyutsky, Margarita Kullick, Anton Korsakov, Ella Tarasova, Nikita Scheglov, Vasily Medvedev, and even the legendary Arthur Mitchell, the founder of Dance Theatre of Harlem. 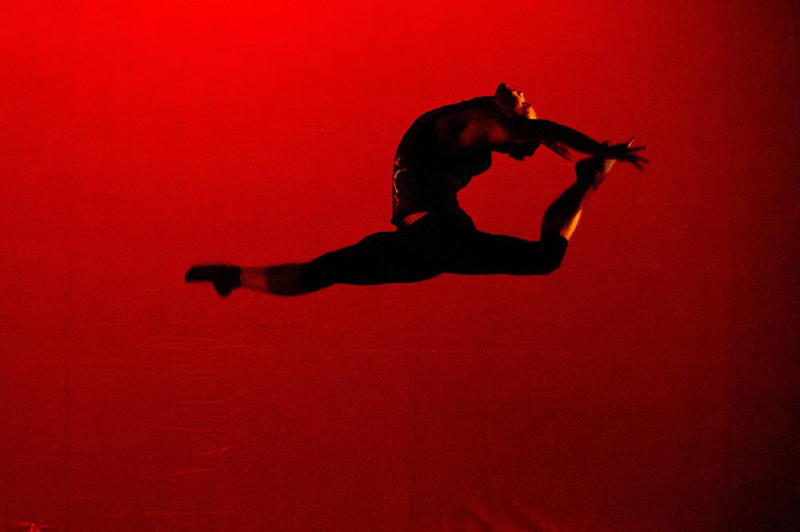 The students’ hard work was followed by their own gala concert, which unfortunately was held at the same time as the Russian premier of Bad Boys of Dance. This American company was founded in 2007 by Rasta Thomas – it would take a full article to describe his amazing 31-year life which ranges from golf and taekwondo at the age of three, to whizzing across the stages of many companies, competitions and galas world wide. In Rock the Ballet, he and five other Adonis-bodied young males contort, contract, leap, lunge, kick legs to ear level and glisten with sweat from non-stop activities, performing to rock tracks with a fiery energy and utter dedication. 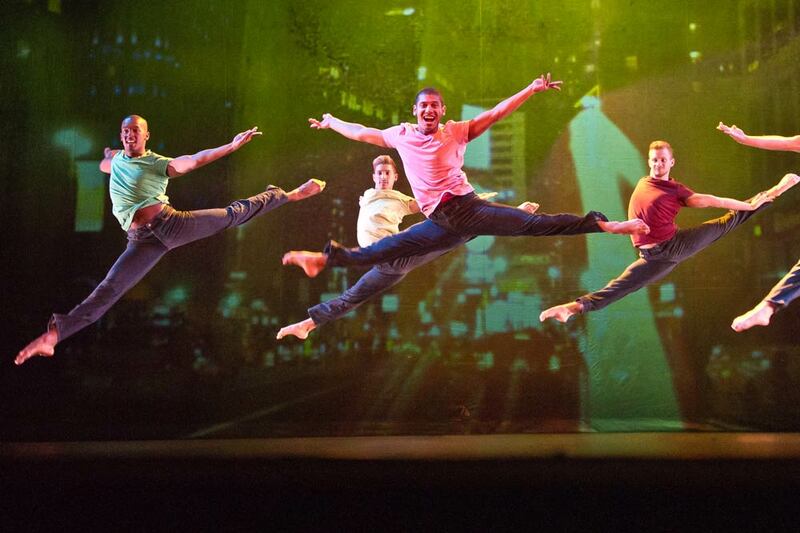 Classically trained, with a combination of jazz, hip hop, tap and gymnastics, plus Broadway drive and passion, they cover the stage with mouth-dropping steps – such as superfast spinning pirouettes, barrel turns with extra bits added, handless handstands, whizzing circular jetes – to be greeted by whoops of delight from both the older and youthful audience members. Behind them, the backdrop fills with swirling, moving graphics which make it seem that the boys are travelling great distances. Other times, trees and shrubs spring across the horizon, a new moon and twinkling stars sail across a darkened sky, a flock of birds fly by at different intervals (the same seven?) and in the finale, performed to Queen’s Bohemian Rhapsody, a series of Monty Python moving-mouth cartoons chant out the words. The Sunday night gala was dedicated to the centenary of the birth of prima ballerina, Natalia Dudinskaya, who was called ‘the first lady of the Kirov Ballet’ in the 1940’s and 50’s and went on to dance until she was 52. She was a pupil of Agrippina Vaganova at the Leningrad Choreographic School and graduated in 1931 to join GATOB (as the Kirov was then known). Though not a great actress, she performed with great virtuosity and was recognized for her pure classical technique as well as the Soviet heroic style that was creeping into the Russian ballet world. She was partnered by the legendary Georgian dancer, Vakhtang Chabukiani, (they danced Laurencia together), and from 1945 she was partnered by Konstantin Sergeyev who became her husband. When she stopped dancing, she taught the Classe de Perfection at the Vaganova Academy and was later a beloved coach in the company. Always friendly and motherly in latter years (when I met her), she had many admirers, and the gala included many memories of her and her dancing. Short black and white clips were screened onto the backdrop frame throughout the evening showing her most famous roles, some of which were reproduced by gala dancers. There was the usual gala fare of Don Quixote, La Bayadere, Le Corsaire and Diana and Acteon party pieces but it was the more unusual pieces that caught attention. The dancing opened with a charming Polonaise-Mazurka from Paquita, performed with immaculate precision by twenty-four young students from the Vaganova Academy in white uniforms and dresses and bright red cloaks. The Bolshoi’s newest prima ballerina, Evgenia Obraztsova, and Berlin Staatsballet’s Dinu Tamazlacaru performed a charming and youthful Grand Pas from Satanella, which was followed by Animated Frescoes – the pas de quatre from The Little Humpbacked Horse with Anastasia Matvienko, Ekaterina Osmolkina, Victoria Tereshkina and Anna Tikhomirova. Golezovsky’s Gypsy Dance made a colourful change and was danced with passion and great suppleness by the Mariinsky’s Polina Rassadina while two Korean students – Minjung Kim, now an apprentice with The Royal Ballet, and Sung Woo Han, YAGP winner – made a valiant effort with Dudinskaya’s version of Gsovsky’s Grand Pas Classique. 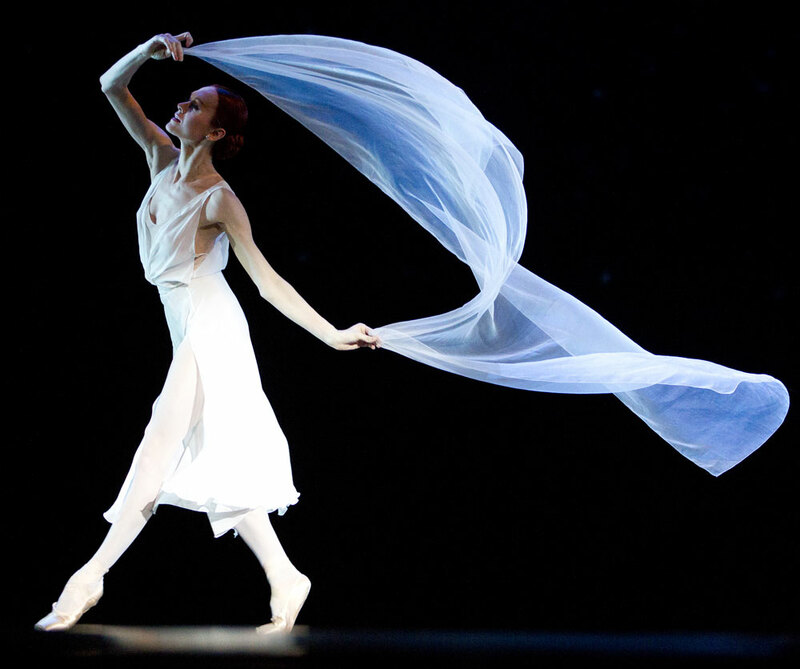 Uliana Lopatkina floated elegantly and serenely with a billowing white chiffon veil in the arms of Mikhailovsky Ballet’s Marat Shemiunov in Chabukiani’s version of Messerer’s Gluck Melody; Vladimir Malakhov performed his signature party piece The Dying Swan, where, dressed in white tight underpants he flutters, depicts the swan’s head and neck with his arms and finally dies with graceful contortions. Audiences love it. More grand gestures were required of the Bolshoi’s Mikhail Lobukhin in Vainonen’s Moshkovsky Waltz, when he opened his arms to entice Anastasia Stashkevitch to jump fearlessly from a great distance into his arms, or to throw her in the air to triple spin before catching her. The Mariinsky’s Osmolkina and Maxim Zyuzin were delightful in Yakobson’s period piece, Vienna Waltz, where she, in flouncy dress, flirts with a top-hatted, immaculately-turned-out young admirer who is after a kiss. 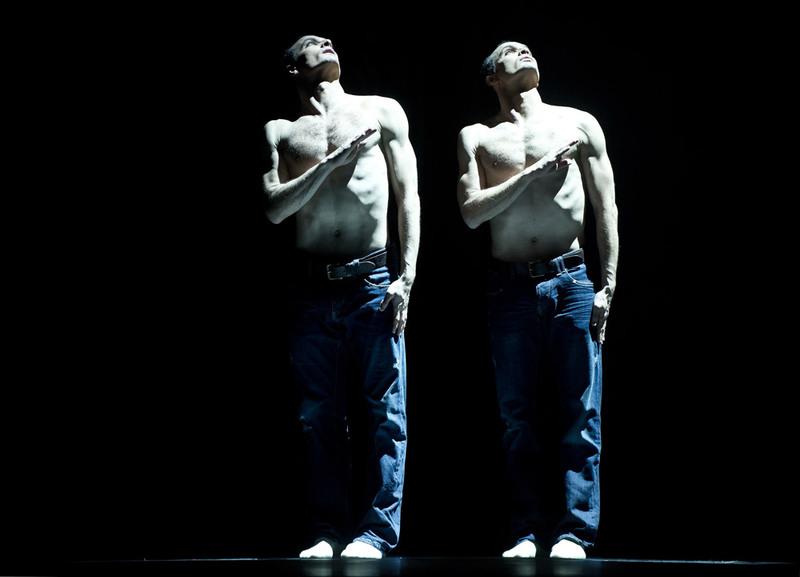 A snippet from Boris Eifman’s latest work, Rodin, was well received. It showed the developing madness of the sculptor’s muse, the energy and precision of the dancers and the clever finale where Rodin moulds his model under a black cloth and rips it off to show a living sculpture. It was most effective. The finale to the evening was a ‘Formula One Grand Prix’ high-speed race around the stage by all the dancers doing their own particular speciality cheered on by the full-house audience, before laying their flowers and bowing before the portrait of Dudinskaya. And finally, the Gala of International Ballet Stars – Dance Open, held on Monday April 16th in the vast Soviet 4,000-seat Oktyabrsky Concert Hall, which was filled to bursting with ballet-lovers, photographers and TV cameramen. Here, twenty-four finest dancers from eleven international companies competed against each other before the audience and the jury, which was made up of seven artistic directors—Arthur Mitchell (Dance Theatre of Harlem), Boris Eifman (Eifman Ballet), Sergei Filin (Bolshoi Ballet), Wayne Eagling (English National Ballet), Kevin O’Hare (The Royal Ballet), Kenneth Greve (Finnish Ballet) and Vladimir Malakhov (Staatsballet Berlin), who took over the chairman duties when Natalia Makarova was unable to be present. There were some repeats from the Dudinskaya Tribute—Satanella, Moshkowsky Waltz, Diana and Acteon and the Don Quixote Grand Pas—and there were some pieces which didn’t excite as they should have done. Sadly Ashley Bouder and Daniel Ulbricht (New York City Ballet)’s Tarantella failed to impress, lacking in neatness and exuberance and, despite a few quicksilver moments, their dance lost steam as it proceeded. The two French dancers, Isabelle Ciaravola and Mathieu Ganio, who are about to make their debuts in Manon at Paris Opera next month, looked gorgeous and promised great things. But alas, we did not see their full potential as they performed with reticence and short-changed the bedroom pas de deux with a Readers’ Digest contraction of MacMillan’s choreography. (There were noticeable continuous intakes of breath from my neighbours, Greve, who has danced Des Grieux many times and Eagling, who was one of the creators of the ballet, as the dancers left out step after step.) The duo returned to dance Martinez’ Les Enfants du Paradis in the second half but again, while the pair looked stunning in their costumes, the piece had no ‘wow’ factor. Despite this, Ciaravola received a special prize at the Awards ceremony from the sponsoring bank. Maria Eichwald (Stuttgart Ballet) won the Ms Expressiveness prize for her feisty Kate in The Taming of the Shrew though Filip Barankiewicz, who was equally full-blooded, got nothing. And there was great mutterings of disappointment when the Bolshoi team – Ekaterina Krysanova, Artem Ovcharenko, Stashkevitch, Lobukhin, Semyon Chudin – received no awards at all; neither did the Matvienkos, nor the flamenco duo, Elena Algado and Miguel Angel Corbacho. Daniel Ulbricht won the People’s Choice prize for his exuberant yet smooth Tango, and a delighted Dinu Tamazlacaru won the Mr Expressiveness prize for his funny drunken rendition of Les Bourgeois. His fellow Berlin company member, Iana Salenko, took the Dance Open Grand Prix for excellent performances in Elegie der Herzen with her husband, Marian Walter, and as Vasiliev’s partner in Le Corsaire. She is a lovely petite ballerina who has strong yet delicate technique and can balance forever. Expecting the Best Duet prize to go to one of the classical couples, it was a lovely surprise to hear that it was awarded –and deservedly so – to the Bubenicek brothers, Jiri, (Semperoper Ballet, Dresden) and Otto (Hamburg Ballet) who danced like two peas in a pod in a piece entitled Les Indomptes, with identical costumes, movements and mimed action. It was very slick and meticulously carried out. 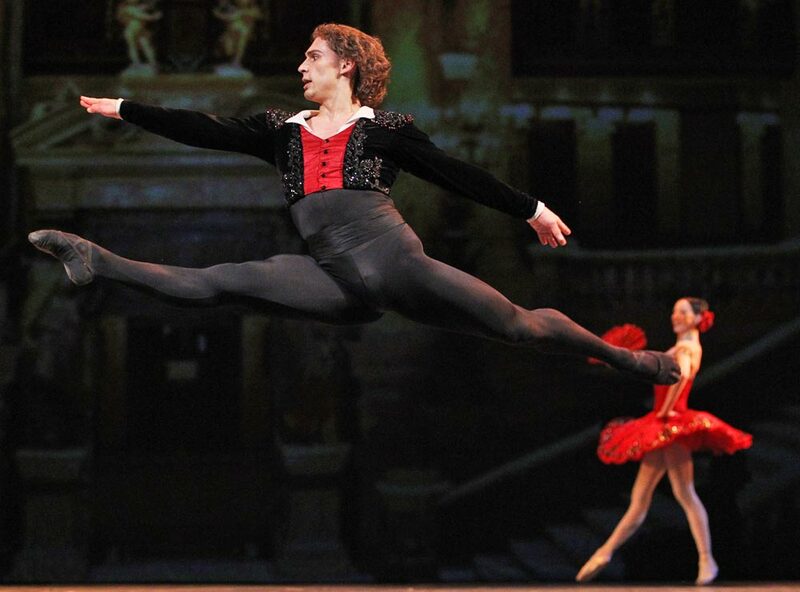 Finally, Malakhov was honoured for his contribution to Dance Open since its inception. There were many beaming faces that night. Both the gala and the competition were tastefully staged, using relevant paintings in a frame to suit each extract, thus giving character and warmth to the normally-expected empty stage. The two evenings ran smoothly and the organizers took great care of their guests. After a short deliberation by the jury, the results were announced at the post-performance party in the beautiful setting of the Marble Hall in the Museum of Ethnography, which went on to the early hours.